India held 690 mi2 of Pakistan territory while Pakistan held 250 mi2 of Indian territory in Kashmir and Rajasthan. 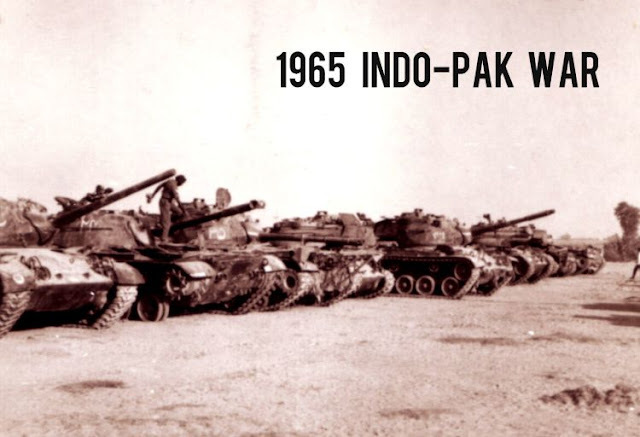 Additionally, Pakistan had lost almost half its armour temporarily. 3. Devin T. Hagerty wrote in his book "South Asia in world politics"
India won the war. It gained 1,840 km2 (710 sq mi) of Pakistani territory: 640 km2 (250 sq mi) in Azad Kashmir, Pakistan's portion of the state; 460 km2 (180 sq mi) of the Sailkot sector; 380 km2 (150 sq mi) far to the south of Sindh; and most critical, 360 km2 (140 sq mi) on the Lahore front. Pakistan took 540 km2 (210 sq mi) of Indian territory: 490 km2 (190 sq mi) in the Chhamb sector and 50 km2 (19 sq mi) around Khem Karan. 14. Newsweek magazine, however, praised the Pakistani military's ability to hold off the much larger Indian Army.